“I definitely consider it a sacred duty to be able to speak as an artist, especially a writer. Especially when people say things like, ‘You have said something that I have felt for so long, but have never heard articulated. There are stories that we have that were never told. The knowledge that you have first is that your story is unique and can only be told by you,” explained the late emcee John “Vietnam” Nguyen in the 2016 documentary, John Vietnam: One Life--One Love. 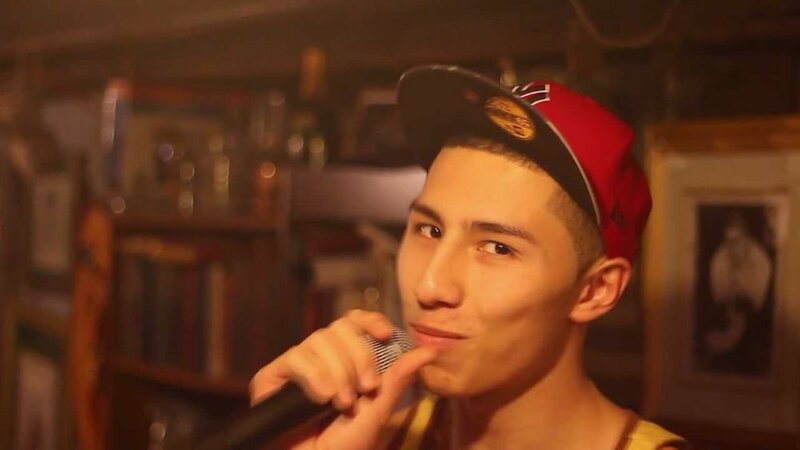 Born and raised in Chicago’s Uptown neighborhood to a Vietnamese mother and a Vietnam war veteran, Nguyen transformed into a gifted spoken word artist and rapper, speaking with a wisdom beyond his 21 years; the young wordsmith articulated a vision of hip-hop music that continues to touch his family and friends for years after his life was tragically cut short in 2012. Nguyen's passion for the culture was deeply palpable; while his artistic style harkened back to the glory days of hip-hop yore, it was also a nod to the genre’s bright future. The first time I’d heard of John Vietnam was during a visit to Uptown on Argyle night, a summer series which was one part street festival and one part market. On this particularly cool summer night, the event was dedicated to Nguyen’s life work as a poet, activist, and rapper. Present was Kuumba Lynx, an urban arts organization dedicated to developing the creative talents of youth, a collective where Nguyen worked at while developing artistic bonds with other group members. Also performing that evening was Connect Force, a hip-hop breaking group pursuing social justice through dance--Nguyen was also a gifted b-boy while living in the Uptown neighborhood as a youth. Nguyen’s father, Joe “Saigon Joe” Hertzel, also appeared onstage that night, sharing memories of his son. Curiously, when I’d previously journeyed through the neighborhood, I’d seen a mural of Nguyen on Argyle street, situated in an alley between Kenmore Ave and Sheridan Road, without ever connecting that the art was erected in his honor. The importance of Nguyen’s Vietnamese heritage influencing his art was paramount. Nguyen’s mother was a Vietnamese refugee, and she heavily impacted her son’s sense of identity. “First off, hello/Name John Vietnam/Raised by the daughter of a war-torn country/Came here and got started/Mom didn’t have no money,” spit the emcee in his video to the White House “What’s your Story?” challenge in 2011. Nguyen also commented on the lack of Asian-American representation, Asian immigration, and discriminatory stereotypes facing his community. Nguyen set out to prove that he wasn’t ashamed of where he came from, undeterred by the dismissal of Asian artists’ contributions to the United States. The emcee also referenced making peace with his biracial identity in “Hapa”, rapping about being a part of two cultures in a “cold world”: “I’m a product of my past/So label me white boy/Or even call me cracker/’Cause I know where I’m from/I ain’t playing with these actors.” The song gives reassurance to other young Asians of mixed heritage to understand their importance in understanding their roots. Nguyen also honored his heritage in “A Hapa Raps in Vietnamese,” where he spit in the Vietnamese language with English translations in his video. Another endearing element of his artistic craft was mixing street with scholar, making him a beloved member of the spoken word and hip-hop communities in Uptown. Nguyen’s college submission video is still remembered by Willie Ney, the Executive Director of the University of Wisconsin-Madison. In the video, Nguyen raps about mahogany melodies and break-dancers in Chicago’s red line subway tunnel and by Lake Michigan. It was the blend of the hip-hop and intellectual interest that makes him ever the more intriguing rapper. Determined to learn new vocabulary, he pointedly sprinkled complicated lexicon in his music, a testament to hip-hop as an education tool without pretension. Nguyen also embraced people from different walks of life, especially Black and Indigenous youth who frequented Clarendon Park, furthering his own personal education in solidarity with other people living at the margins. That night, I left Argyle that night feeling as if I’d stumbled upon a hidden treasure. As I walked up the street, for the first time, I noticed the sign, “Honorary John ‘Vietnam’ Nguyen Way”, the street dedicated to the 21-year-old in 2014. It was a solemn moment, but a wondrous one, as I smiled to myself that a street named after a Vietnamese rapper meant that his spirit was deeply linked with the community forever. Rest in power, Vietnam. May your life continue an example for future generations, not just in this city, but for the rest of the nation as well. You leave behind a beautiful legacy for us to follow.